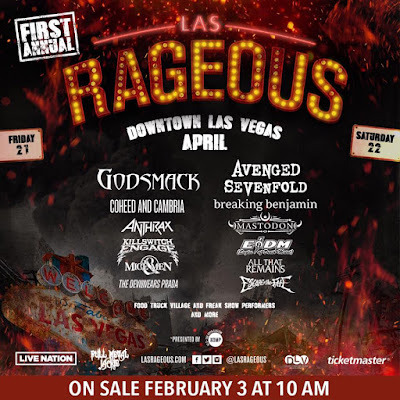 Avenged Sevenfold confirmed will headline Las Vegas' Las Rageous Festival. The band said: "Las Vegas, we're headlining Las Rageous on April 22nd! Tickets go on sale Friday, February 3rd at 10AM. lasrageous.com"